For a large portion of the powersports industry you experience seasonal ebbs and flows for business. Sales may dip in winter months when you’re trying to move street bike inventory. 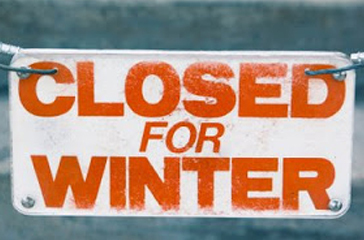 Retail business for apparel and accessories fall off in colder weather for many dealers. So when I have dealers asking if they can discontinue marketing during these slow months I know where they are coming from and why. But my immediate question back to them is, "You must close up business for those slow months right?" And after a chuckle they say "No, obviously not." So my next question is, "How do you drive sales and customer visits during these slower months?" Traditional media is cost prohibitive when sales can’t support the investment required and becoming less effective overall. That’s why digital marketing, and mobile marketing specifically, should be relied upon even more during this time period. As a business you have fixed costs every month of the year like utilities, payroll, rent, website cost, etc., so sales are still incredibly important when you are spending money to keep the doors open and the lights on. With a very minimal investment during slower sales periods you’d be hard pressed to find a more affordable solution than mobile marketing to stay in touch with customers. For only a few hundred dollars a month a mobile strategy can be a very meaningful way to drive profit and not just a cost you have to eat. Here are some ideas for communicating with customers and driving more sales during those slow, cold months. Service: You have a service department that has to be staffed. Take advantage of slower periods of time by texting customers with compelling offers for maintenance and/or custom work. Use your customer data and be very specific about your communication with offers relevant to what they own. Do you offer pickup or delivery? That’s a fantastic option for a customer that they won’t even have to get out in the weather to bring in their bike for work. But a simple text message alerting the customer of these opportunities will drive revenue. Apparel: Alert customers to cold weather apparel. Heated gloves, leather jackets, etc. are things many riders don’t think about during the warm weather. They may put away their bike in the colder months but knowing they can bundle up and get out and ride is something they haven’t considered. Give them an offer on this winter gear in the form of a coupon or discounted offer via mobile that you can track the sales results. Do you have clearance apparel you want to liquidate? Send customers a message with details on what’s available and the savings. Parts: Riders don’t want to miss beautiful days in warm weather to ride. So when they want custom work done, they may be more compelled to do it in the winter months. Give them an incentive to have custom work done during this down time. New exhaust, custom audio or electronics added, etc. are all things customers may want to have done to their bike. But if you don’t communicate with them about these offerings they don’t have a reason to come in right? Winter events: Do you do winter promotions for riding? Polar Bear clubs or mileage contests to encourage riding in the cold months are popular with many dealers. Use your mobile app like Rever to track mileage of customers for this promotion. Send a text alert about meetings or opportunities for these offerings. Multi-line dealers: You aren’t at the mercy of mother nature as much as some dealers since you can offer off-road equipment or even snowmobiles and other winter-specific equipment. But you still want to stay in touch with customers about what’s new or on sale. Sending a text with riding classes or service work can be very compelling for these customers. The point to glean from all this is you are open for business 12 months out of the year. But if you disappear for a couple of months from your customers how do you expect them to know they still need to come visit you? Out of sight out of mind right? The very small investment required for continuing your marketing efforts during slow sales periods will pay off in ways you may not have considered. So give it some due diligence and consider being more aggressive and aware of using mobile first when sales need an extra boost.